Welcome to the breast enhancement FAQ section, where you can find many of the common questions about surgical and non-surgical breast enhancement and their respective answers. If you can not find your specific query here, please feel free to use the search bar in the right column of this site to find any word or phrase relating to your query. If you require clarification of a matter relating to a previous surgery, we highly recommend that you consult with the operating physician for case-specific advice. Thank you for enjoying our website to research breast enhancement. Q: Is it true that breast enhancement can make my breasts larger or smaller? I thought that enhancement only meant making them bigger? A: Breast enhancement means to improve breast aesthetics. For some women, this means making breast bigger. For others, it means making breasts smaller. For some women, this means simply getting a breast lift. Q: How do I know which enhancement procedure to choose in order to fulfill my needs and expectations? A: You need to carefully think about how you want your ideal breasts to look. Consider size, shape and other factors, such as firmness. Take your wish list to a cosmetic surgeon and use it as a guide during your consultation. They will help you to find the best procedure to meet your needs. Q: Is breast enhancement dangerous? A: Generally, cosmetic surgery is safe. 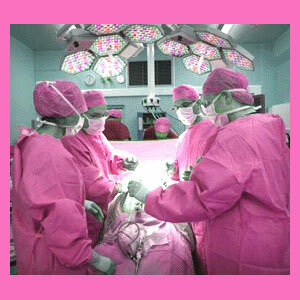 However, all forms of surgery have risks and the possibility for unforeseen complications. The more invasive the operation, the greater the risks involved. Q: Are there non-surgical methods which can make my breasts larger? A: Yes, we recommend the BRAVA system of breast enhancement as the best choice for most women. Other pill and cream products are not proven to do anything and may even be dangerous in rare instances. Q: Are there non-surgical methods which can make my breasts smaller? A: Diet and exercise are the most effective means of decreasing breast size without surgery. However, these will only reduce fatty tissue in the breasts, and will not decrease glandular tissue. Breast reduction surgery is the best and most predictable method of making breasts smaller and lighter. Q: What do you think about all these breast enlargement pills and creams on the market which claim fantastic enhancement results? A: Many are scams. They are not regulated products and often make claims based on illogical and unscientific studies. The few which may work occasionally are typically effective due to placebo alone. In rare instances, some herbal formulas may provide conservative results for some women. 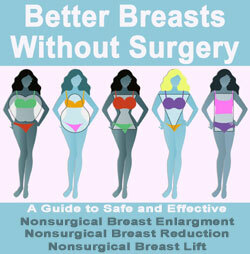 You can never learn too much about your options for accomplishing breast enlargement or breast reduction. Improving your breast aesthetics is a highly personal process and you will need all the knowledge and help you can get. To learn more about any particular type of enhancement procedure, consult with a qualified board certified plastic surgeon. Make sure to choose a cosmetic surgeon carefully, since no single factor will influence your postoperative results more than who you select to be your doctor.